On March 21, 2015 Bentonville Battlefield in Johnston County NC will be hosting a premier 150th anniversary re-enactment of the Battle of Bentonville - a confrontation that turned the tide on the Confederacy. The Mountains-to-Sea Trail will be there, announcing its new route through this historic venue in August 2014. Tickets to the re-enactment go on sale September 1st. On the field of battle that day, Confederate General Joseph Eggleston Johnston crossed paths one final time with Union General William Tecumseh Sherman. They had met before, notably as Sherman advanced on Atlanta. As then, Sherman was to prevail at Bentonville, and within six weeks Johnston was to surrender his armies. Forget Lee and Grant at Appomattox. I don't know why that event got all the press when the greater number of Confederate troops did not surrender until a couple weeks later when Johnston met Sherman at Bennett Place in Durham, NC. Because of the generous terms Sherman offered during their negotiations, Sherman earned Johnston's life-long respect. And their paths crossed in amity many times thereafter. 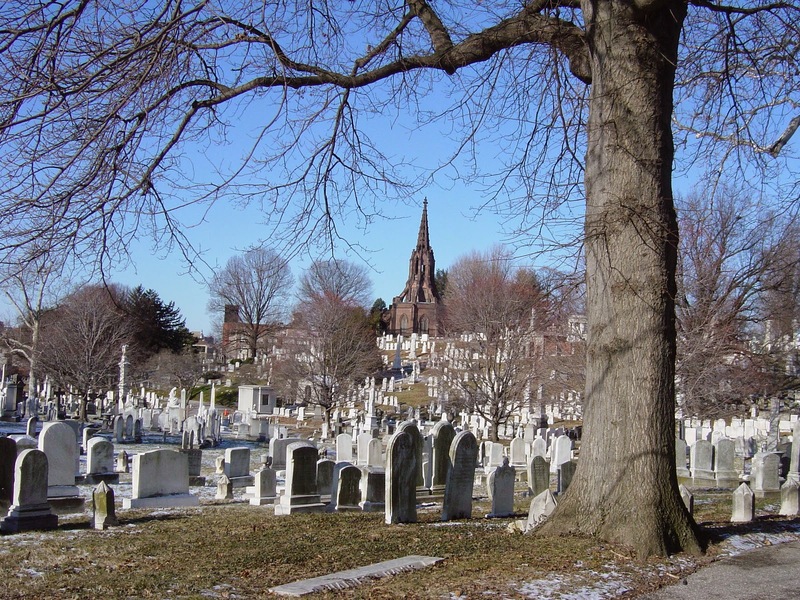 So here, finally, is the explanation of why I've posted the photo of Baltimore's Greenmount Cemetery as the headline image for this post. General Joseph Eggleston Johnston is buried there. He died of pneumonia at age 84 a few weeks after serving as pall-bearer at the funeral of William Tecumseh Sherman. 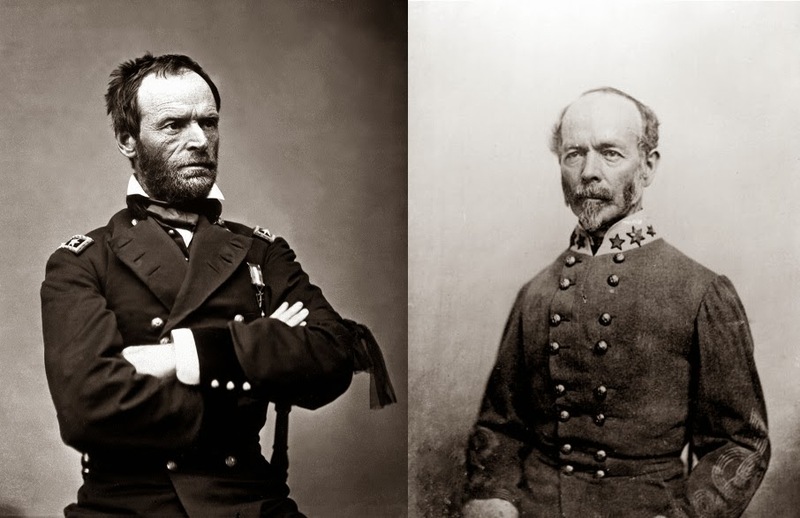 "Johnston, like Lee, never forgot the magnanimity of the man to whom he surrendered, and would not allow an unkind word to be said about Sherman in his presence. Sherman and Johnston corresponded frequently and they met for friendly dinners in Washington whenever Johnston traveled there. When Sherman died, Johnston served as an honorary pallbearer at his funeral; during the procession in New York City on February 19, 1891, he kept his hat off as a sign of respect in the cold, rainy weather. Someone with concern for the old general's health asked him to put on his hat, to which Johnston replied "If I were in his place and he were standing here in mine, he would not put on his hat." He caught a cold that day, which developed into pneumonia, and he died several weeks later in Washington, D.C."
If any good comes from war, it is in stories of honorable men such as these. Bentonville was the scene of their last angry confrontation. Sherman had marched to the sea. After Atlanta, Confederate president Jefferson Davis had made the controversial decision to dismiss Johnston, sending him into virtual retirement. But he reversed his decision in the light of Sherman's subsequent Carolina Campaign, reinstating Johnston in February 1865, and Johnston dutifully answered the call with little time to assemble the scattered remaining armies of the South in an attempt to stop Sherman's advance. In the end he was woefully out-numbered and could not win the day. 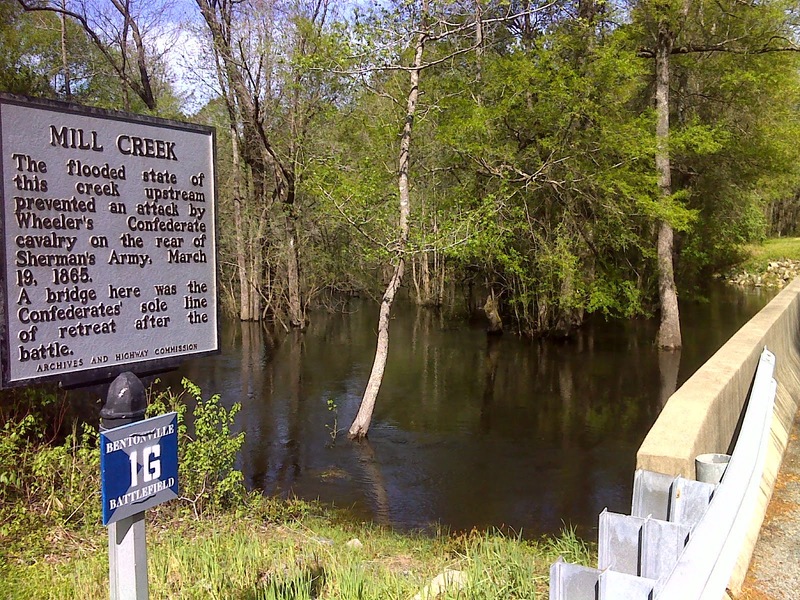 Following the battle, the Confederate troops beat a retreat to Smithfield, burning the Mill Creek Bridge behind him, thus preventing any pursuit by the Union army. There's a new Mill Creek Bridge now, and it can't be burned - all concrete and steel. And the MST uses it. The westbound MST hiker has the privilege of hiking though these deep-etched memories in chronological order. It was hard to hold back the tears as I crossed over Mill Creek and trekked on to the Hannah's Creek Bridge next to Howell Woods Environmental Learning Center. Okay - deep breath. Howell Woods - back to the 21st century - one of the new generation of interactive preserves. A completely different tale for a different, more enlightened era. Sadly all their trails were closed, presumably due to the snow and ice that dropped many trees over the winter. But these are loop trails, not yet ready for MST hikers even in the best of times. 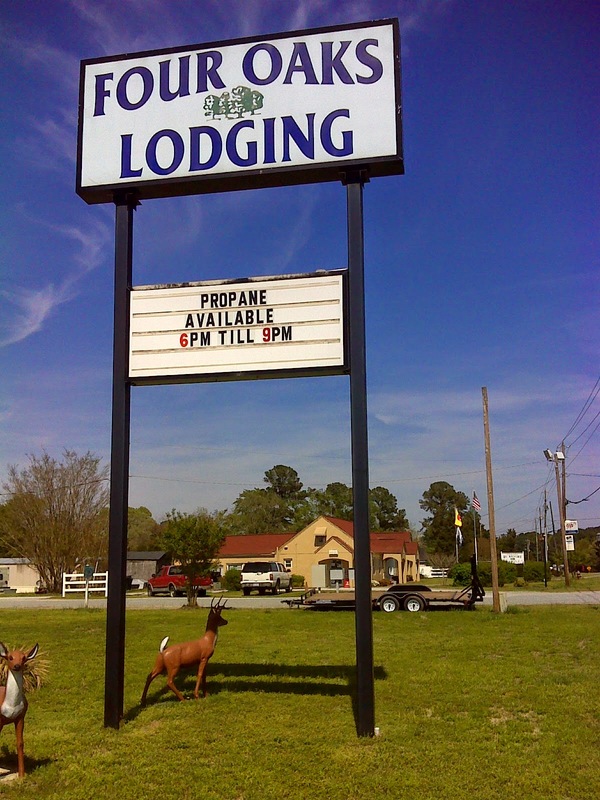 Here's a place to restore and refresh - to get a cheap room, to park your RV, or to pitch your tent in their fenced tent camping reserve with rest room and shower nearby. 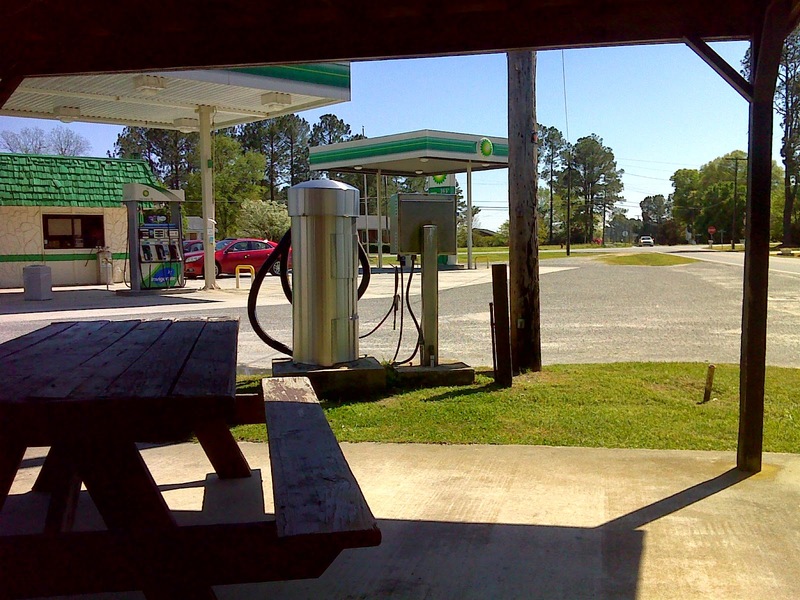 If you're eastbound on the MST this is a great last pit stop before plunging into the long road walk through open country to Bentonville. 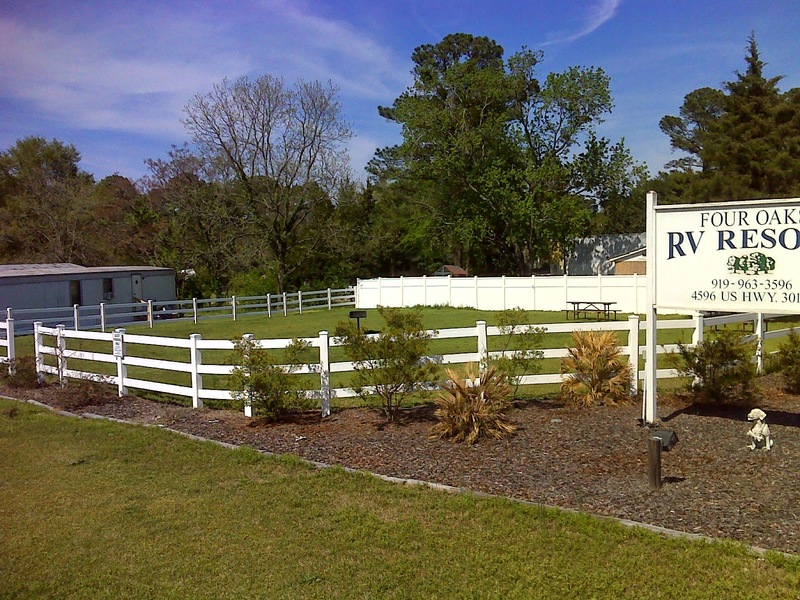 Four Oaks Lodging motel and RV center has been in business since the '70's but upgraded in 2006. 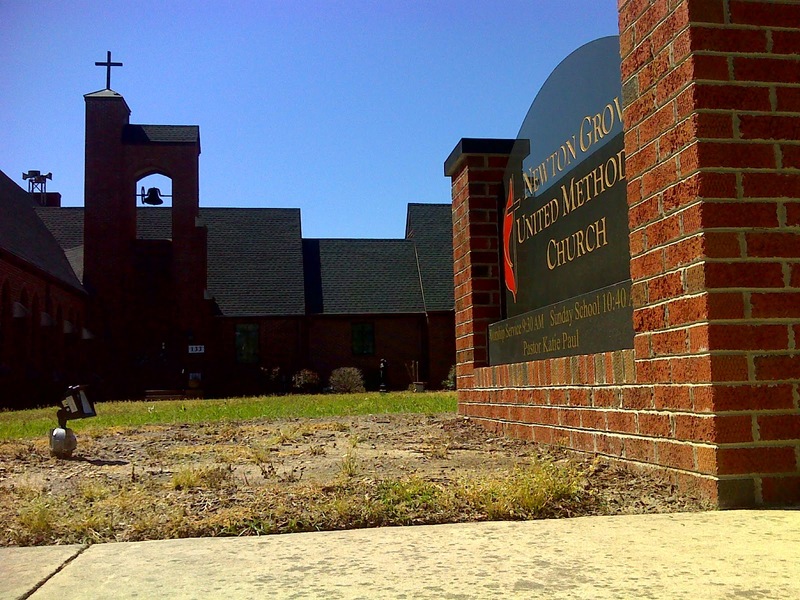 This is a clean and friendly gem of a place, barely a quarter mile off the MST route on US 301 just south of the I-95 interchange. 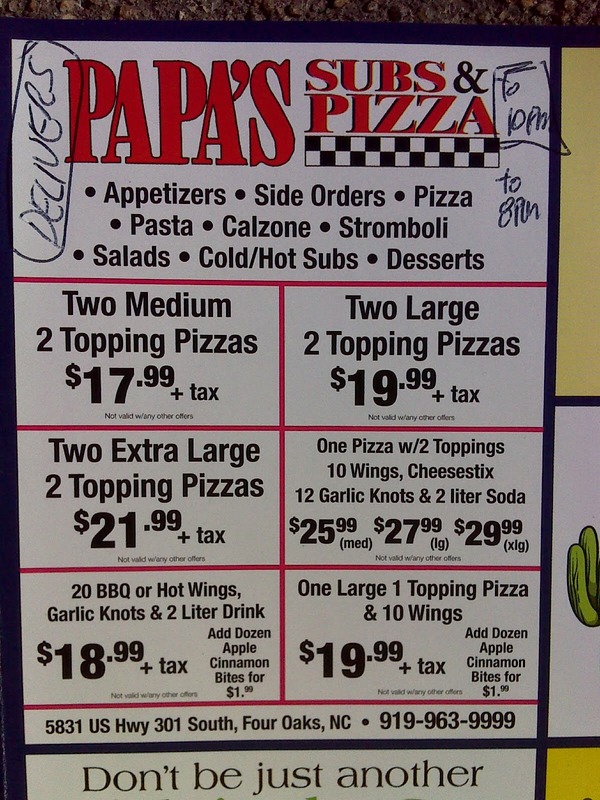 There's even a pizza place that will deliver to your tent. 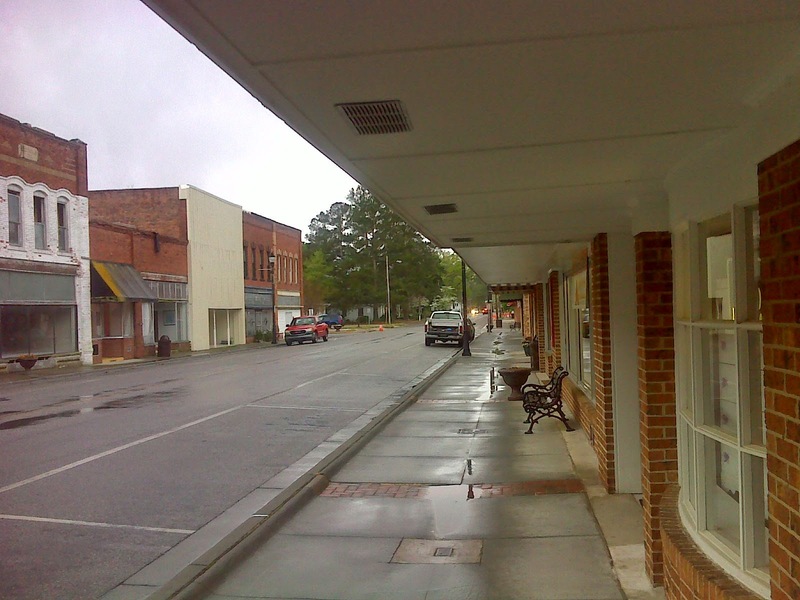 On the other end of the trail segment covered in this report, I left Roseboro by way of a roofed walkway on a rainy day along their two-block-long old downtown sidewalk. Then I passed beside the Sampson County Game Land where seven miles of off-road trail are planned and in the works, likely coming out on White Woods Road and intersecting with the road walk that is the trail's current route. 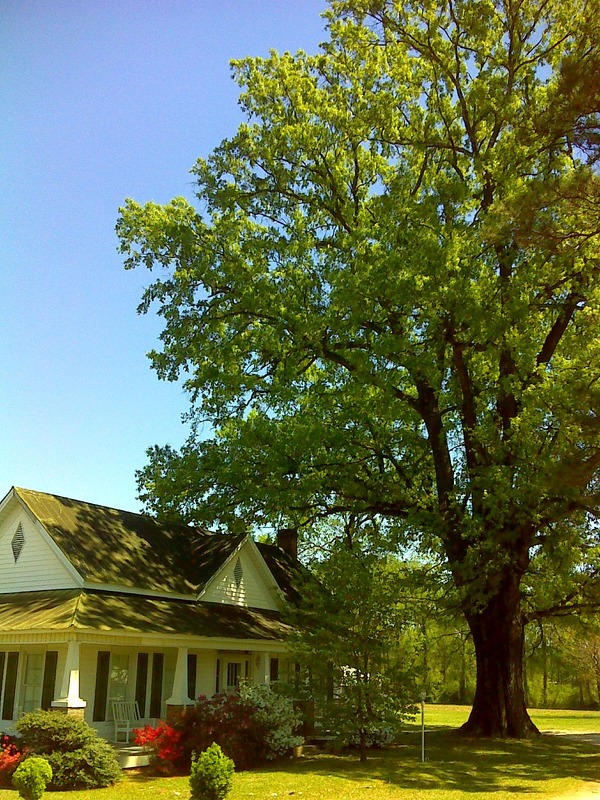 and passing an old, well preserved, well maintained home with even older and more well preserved oak. I'm always a sucker for venerable old trees. Next on the MST westbound agenda is Smithfield, famous for its cluster of major factory outlet stores accessible from I-95 and within a mile of the MST route. For the fully accessorized tourist, this is a must. For me and other trekkers-on-foot, perhaps not so much. I will make a stop at the Crocs outlet. I've hiked the entire MST to this point in my RealTree camo Crocs; and my happy feet are testament to their advantages. Cushioning, breathability, complete indifference to getting wet, and surprising traction and durability. This footwear and my trusty GoLite umbrella - rain protection without the internal sweat of a poncho or rain jacket. And, with its silver reflective surface the GoLite umbrella also provides sun protection/portable shade for those hot road walks and beach walks. These are two of long-distance hiking's most overlooked gear choices. Get with the program, slackers! Here's the GPS track of the route of the hiking described above. And if you click on the title line you are transported to an extensive slide show - each photo tagged with its GPS coordinates.